Bill’s (Jaden Lieberher) little brother Georgie (Jackson Robert Scott) went missing, and he’s not the first in town to disappear. On their bike rides across town, Bill and his friends Richie (Finn Wolfhard), Eddie (Jack Dylan Grazer) and Stanley (Wyatt Oleff) start to encounter strange phenomena. 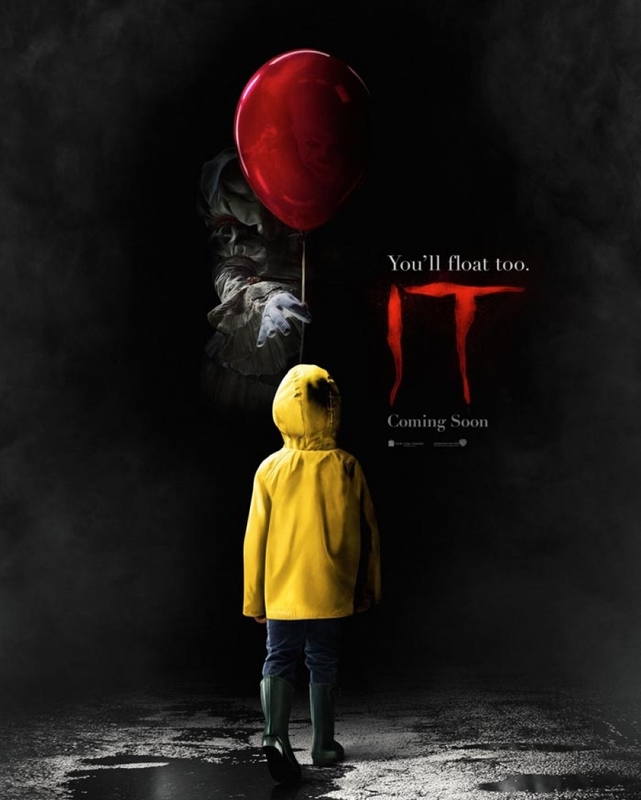 They are not the only ones and as their group – called The Losers Club – is joined by Ben (Jeremy Ray Taylor), Beverly (Sophia Lillis and Mike (Chosen Jacobs), they realize that it’s actually one creature that terrorizes town – and that it might be up to them to stop It. It is a strong, effective but not perfect film that I enjoyed watching a lot, despite some things that could have been better. Billy (Joe Hill) reads a Creepshow comic, against the wishes of his father (Tom Atkins). The comic tells different stories – of an awkward family dinner where the murderous past comes back to haunt them; of a farmer finding a strange meteorite; of a vengeful husband doling out punishment to his unfaithful wife and her lover; of a dangerous creature in a crate; of a mysophobic man whose safeguards fail him – that the father doesn’t approve of. But Billy doesn’t want to give up the comic. 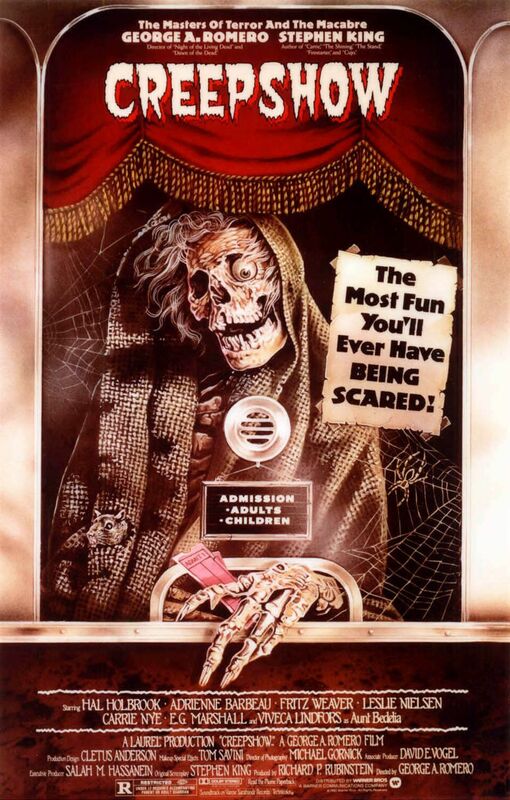 As with many anthology movies, Creepshow’s different segments differ widely and the overall impression I have of the film isn’t particularly great, even though there were many bits that I did enjoy. 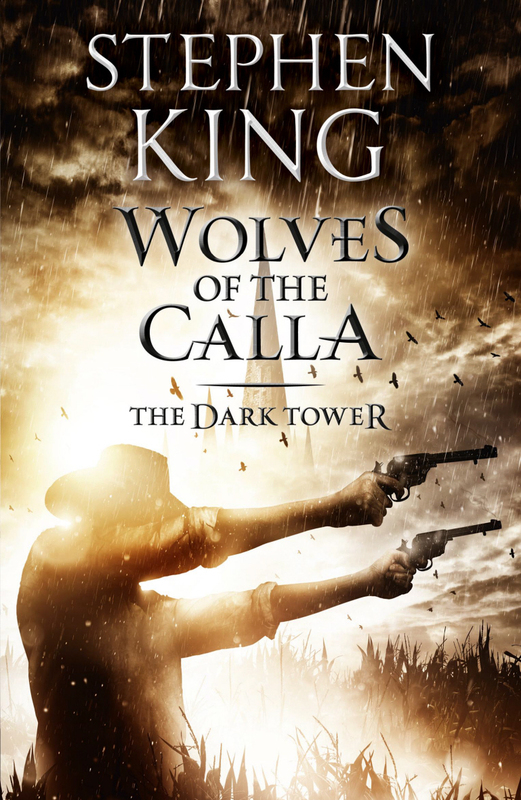 Wolves of the Calla is the fifth novel in The Dark Tower series by Stephen King. The ka-tet – Roland, Eddie, Susannah, Jake and Oy – are still on their quest which leads them through Calla Bryn Sturgis when they realize that they are being followed at a distance. It doesn’t take long for their suitors to catch up with them. It turns out that they are locals, joined by Father Callahan who crossed over from New York a long time ago, and they have come to ask the gunslingers for help. 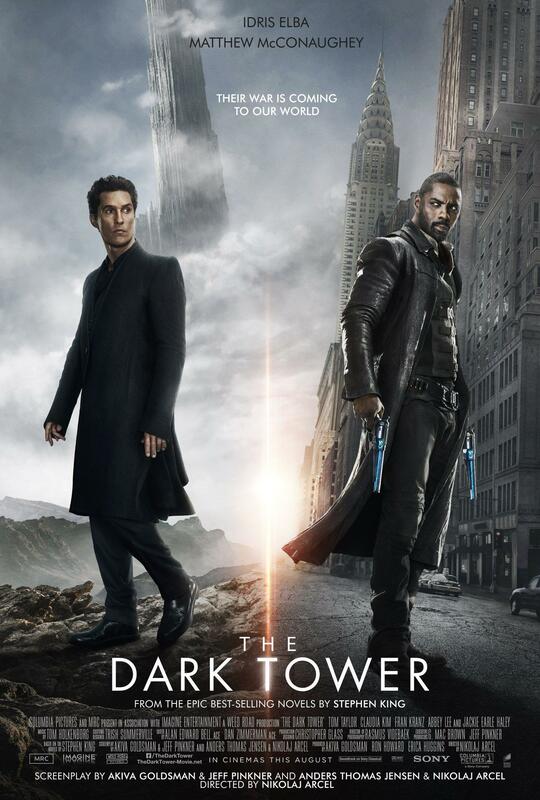 But that isn’t everything that they have going on: Additionally, Eddie and Jake travel to New York in their dreams, going to to-dash, which leads them back to the bookstore Jake visited and that seems intimately connected with The Dark Tower. There were many things about Wolves of the Calla that annoyed me, making this installment of the series one of my least favorite, even if it still managed to pull me in. 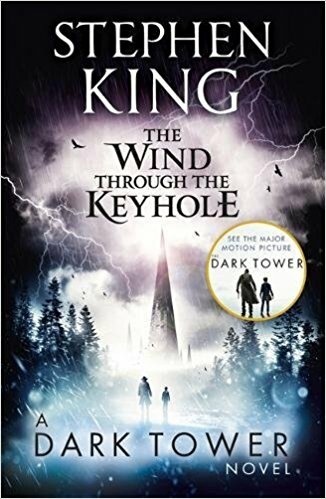 The Wind Through the Keyhole is an extra novel in The Dark Tower series by Stephen King that is set between the fourth – Wizard and Glass – and the fifth novel – Wolves of the Calla without actually advancing the major plot. It was also written after the seven actual novels of the series were finished. The ka-tet Roland, Eddie, Susannah, Jake and Oy get trapped in a storm, a starkblast. As they wait it out, Roland tells them the story of when he and Jaime De Curry were sent west to Debaria as young men to investigate the claims of a town that a shapeshifter is terrorizing them. In Debaria Roland finds that the only person who might be able to identify the shapeshifter is a young boy, Bill. They, too, have to wait for a bit, so Roland tells Bill a story he heard in his own childhood, of Tim Ross and his magical quest to avenge his father. I liked this interlude that provides us with yet another look at Roland’s youth. In fact, it might be one of my favorites of the series – although mostly for the story within the story within the story that was a beautiful fairy tale. 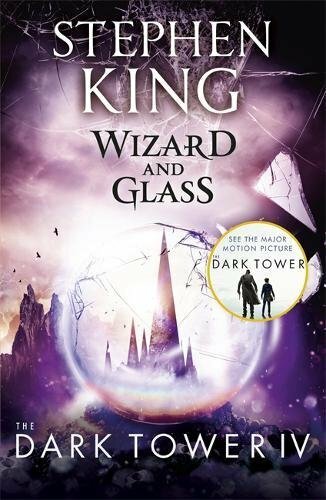 Wizard and Glass is the fourth novel in the The Dark Tower series by Stephen King. Roland, Jake, Eddie, Susannah and Oy manage to defeat Blaine and arrive at the Topeka railway station, Kansas. Only it’s not the Kansas of Jake’s, Eddie’s and Susannah’s world. Something awful has happened here. As they leave the city, they come close to something Roland calls a “thinny”, an eerie hole in the dimensional fabric. As they camp for the night, Roland tells them the story of where he encountered a thinny for the first time, which is also the story of his first big love, Susan Delgado. Most of Wizard and Glass is spent in Roland’s past, a “detour” from the quest I very much enjoyed, even though I had some issues here and there with a couple of things. 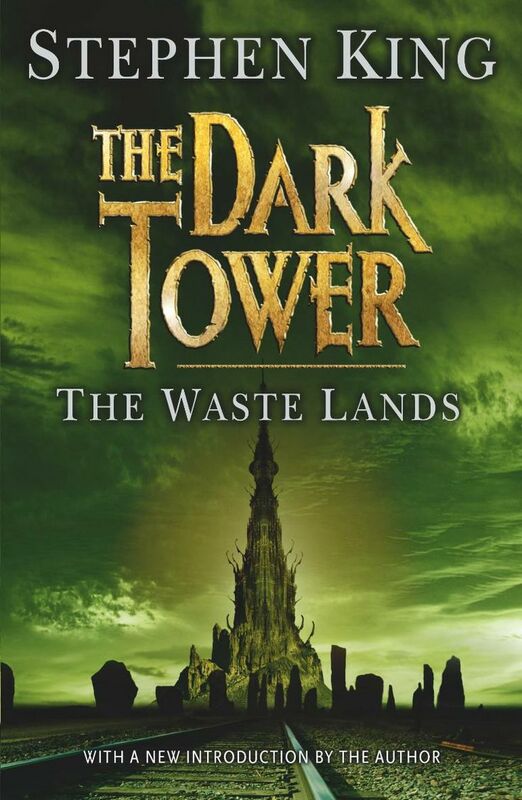 The Waste Lands is the third novel in the The Dark Tower series by Stephen King. 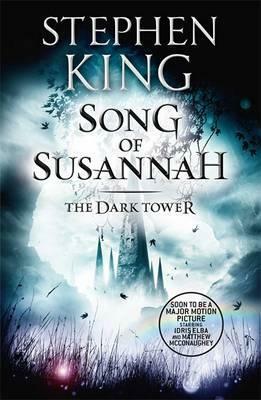 Roland has found Eddie and Susannah, and together they start moving through Mid-World in the direction of the Dark Tower. They know they are on the right path when they hit one of the Beams, including its guardian that spread out from the Tower itself. But while the direction is now clear, something else becomes apparent: Roland’s mind is starting to fall apart. Jake in New York City is equally struggling as his part in the story simply isn’t over yet. The Waste Lands digs deeper in the story and the quest and it feels a bit like the actual story is getting started now – like the preliminiaries are now dealt with and we can really get to it. As usual there were some things about it that I didn’t particularly like, but I’m still very much invested in the story. After the encounter with the Man in Black, Roland wakes on a beach, the Man in Black’s tarot reading of his fate still ringing in his ear. Before Roland can get his bearings, he is attacked and injured by lobstrosities. In an increasingly weakened state, he starts to move along the beach in search of the Three that were announced to him as his partners. It’s then that he stumbles upon a door that stands on its own on the beach. When Roland opens it, he is transported to another world, New York City, which is deeply connected to his own. 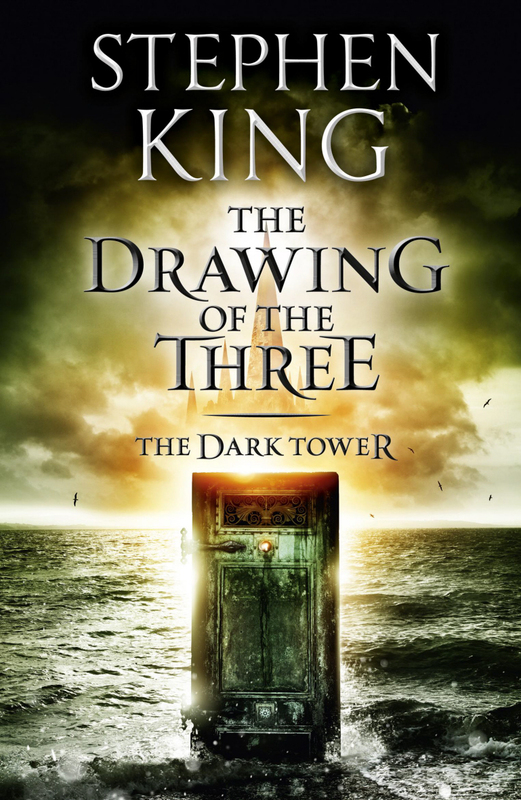 The Drawing of the Three is an exciting read that left me wanting more (fortunately there is more), although there were also things I didn’t exactly like about it.